Consumers these days don’t have time to wait for their needs to be met. They need a customer service formula that works for them – and that means one that works right now! To make this happen, automation has become the preferred method of cutting costs while delivering results in the world of customer service. This is certainly true in the contact center setting. 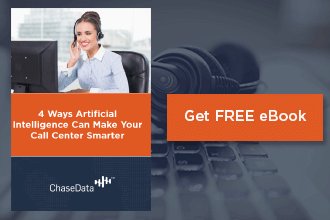 Call centers have automated many tasks, from directing calls to the most qualified agents to handle the task to calling back consumers who abandon or drop calls, nearly every part of providing a great customer experience can be automated. There are numerous befits to this automation, too. Not only do things happen quicker, but they also keep costs under control for the call center. Cost-per-call can be one sneaky way that contact center budgets get out of control. Keeping calls brief keeps these costs low, but cutting corners just to cut calls shorter does no favors to customer service. It’s important to balance customer service with cost management. Thankfully, automation helps to do exactly that. Offering consumers options to serve themselves through part or all of their interaction with the contact center and resolve some of their own issues leads to quicker, more concise calls. Data can be gathered through automatic means, or may be shared automatically with an agent when needed later during a call. 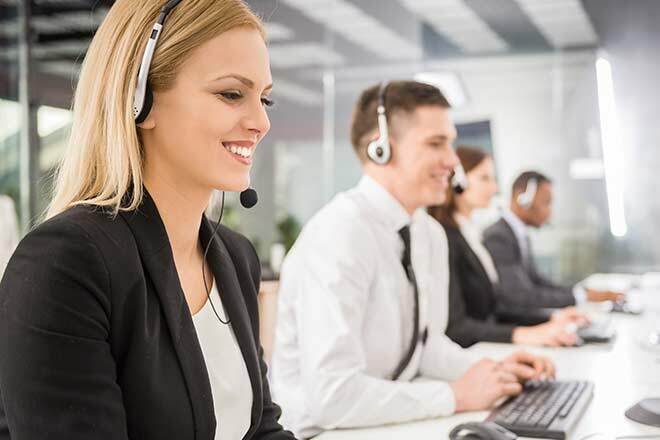 All of this makes the agent’s job easier and the consumer’s experience much more pleasant – and keeps things moving along quickly at your call center. Perhaps the inevitable, logical endpoint for the evolution of customer service automation is the replacement of customer service representatives with machines. While this isn’t entirely what is happening in contact centers and other customer service environments today, there is an element of this fantasy-like idea happening right now in many businesses, both large and small – and consumers seem to be responding fairly well to the concept. We’re talking about the customer service chatbot. Not sure what that is? Log on to any legal website, insurance provider’s page, or other website where the customer service aspect of the business seeks to be available even when live agents cannot be. You’re likely to find a popup customer service chatbot window in the corner of your screen, ready to field your questions. The customer service chatbot is designed to take some of the hassle out of the process of solving problems for consumers that might have been more time-consuming than difficult for agents. Answering simple questions, directing concerns, and other tasks are good chores for these bots, and can be handled with a few keystrokes by the chatbot and the customer. That way a customer service agent is free to help a consumer with a more challenging issue, and the customer with the simple concern doesn’t have to deal with long wait times, awkward conversations, or any of the other inconveniences that come from call center exchanges. While there are decided benefits in today’s world to automating the process of customer service, there are also many reasons to employ actual human beings to serve your customers. 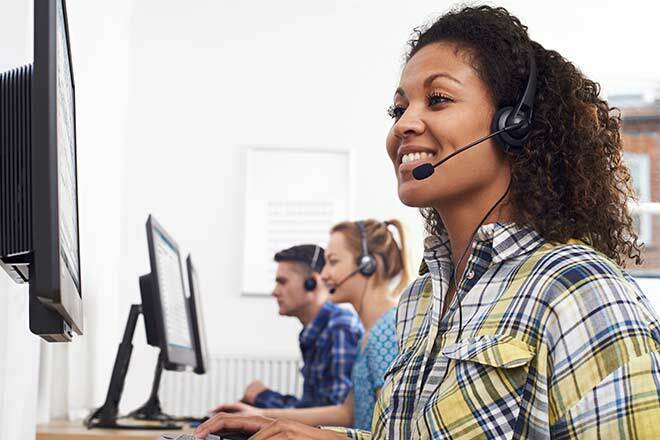 Many consumers still want to speak to a real person when they call your contact center and giving them the option to do so has a lot of benefits for both them and your business. Many consumers – especially older customers – appreciate the feeling of having a real person talk them through the process of solving their problems. Whether it’s answering a question or resolving a complaint, having a human voice on the other end of the line can be calming. In fact, that’s one of the primary reasons that real, human interaction is beneficial in the customer service field. Empathy and emotion are not things that can be automated. It’s not something that can be manufactured. Your customers feel more comfortable when a human voice is empathetically listening and responding, reassuring them and giving them feedback on the other end of the line. It makes them feel heard, valued, and understood. Customers who interact with a person who they perceive as both knowledgeable and empathetic are more likely to rate their customer experience as a positive one – and that’s something that no customer service chatbot and no amount of automation can create for your call center! It’s important to remember that there is no right way to meet customer needs. Whatever works best for your consumers is the right way to do things. In many cases, this means a combination of live agent service and automation – and that’s okay! Ensuring that your consumers’ needs are met is the top priority, always. Whether you prefer the ease of letting a customer service chatbot handle the bulk of your consumer exchanges or the authenticity of having everything fielded by a live agent – or some combination of the two methods – there is a solution at ChaseData for your needs. Let us guide you through the process of outfitting your operation with the technology you need to help your consumers address their concerns. Whether that means self-service or full-service, there’s nothing you can’t offer your callers when you partner with ChaseData for your software solutions. Give us a call today to find out more about how to bring your contact center into the modern era of customer service – and how to figure out exactly what that means for your facility!